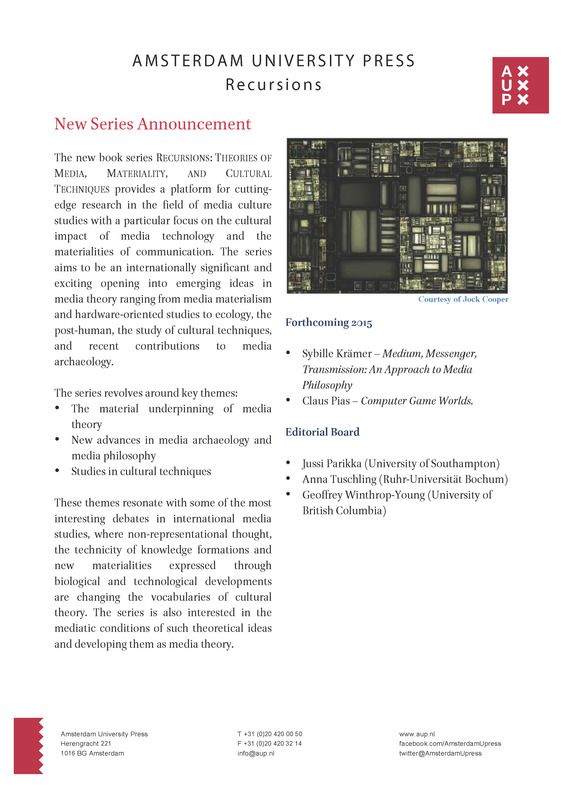 We would like to introduce to you the upcoming series Recursions: Theories of Medea, Materiality, and Cultural Techniques (forthcoming in 2015). 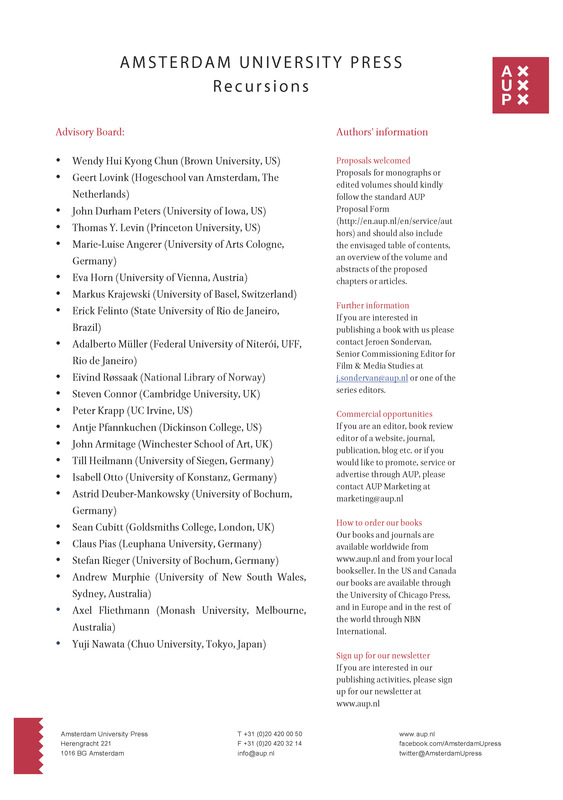 Sybille Krämer’s “Medium, Messenger, Transmission: An Approach to Media Philosophy” should be out first in early 2015. It will be followed by Claus Pias’ “Computer Game Worlds” in the same year. Other books that are in the making include Ute Holl’s “Kino, Trance und Kybernetik”, Erich Hörl’s “Die heiligen Kanäle” and the edited collection “Memory in Motion” (eds. Blom, Lundemo & Rossaak).